In this Wednesday March 28, 2018 photo, the baleen is visible on a North Atlantic right whale as it feeds on the surface of Cape Cod bay off the coast of Plymouth, Mass. 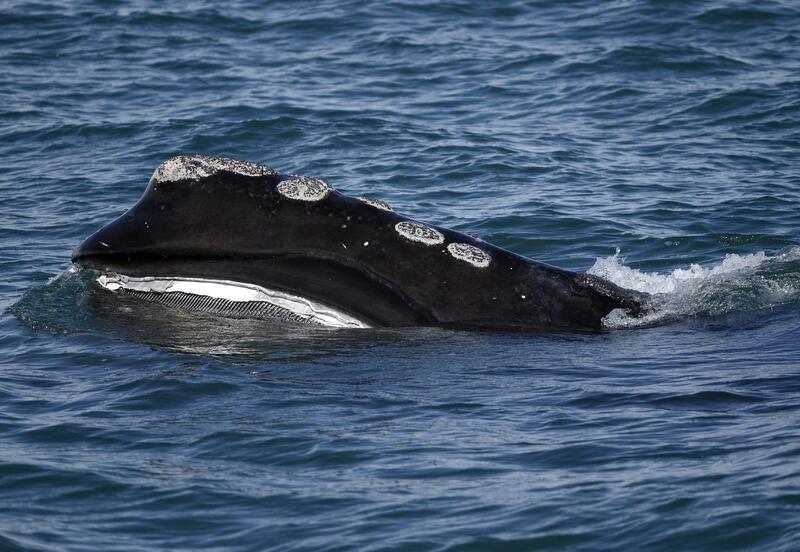 North Atlantic right whales are among the most endangered marine mammals, numbering no more than 450. 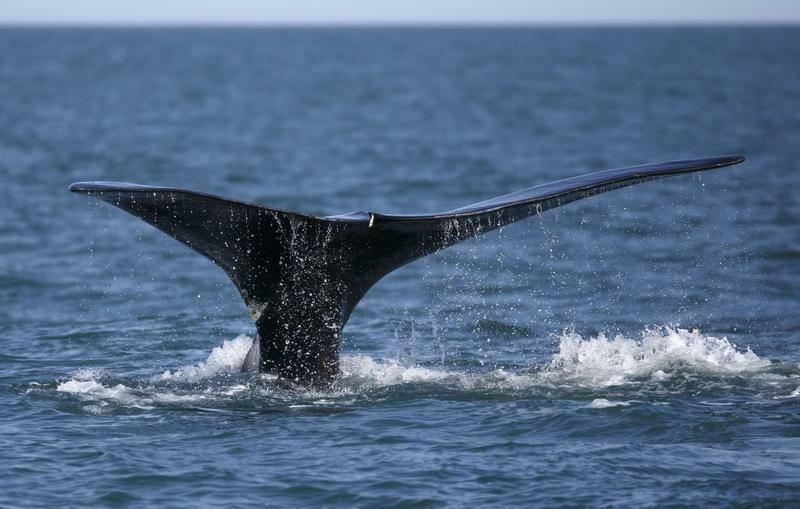 The National Oceanic and Atmospheric Administration says the second right whale mortality of 2018 has been reported off of Martha's Vineyard. The NOAA says the whale was reported dead on Sunday. The agency says the whale was too decomposed to bring to land, but tissue samples were taken to try to learn more about it. There were 17 right whale deaths last year. Scientists say they are alarmed that no new calves were spotted this year in the whale's calving grounds off of Florida.